Relaunching a website can be an overwhelming project. You need a new design and perhaps new functionalities. What should you do with your existing content? And what about new content? The more changes you want, the more challenging it gets. In this process you might face the question if you should change or keep your URLs. We hope to help to make your relaunch a bit easier by answering this question! “We want to change the titles of all of our products as we are relaunching our website and adding new products. Could we do this, but keep the same slug/URL? We would have to redirect our complete product catalog (which is massive) in order to change the URLs, from what our developer says. “I would always, if you can, keep the URLs exactly the way the are. Even if you’re changing the names of your products. Only if it’s really weird for people, then I would change them on a product by product basis. But if you can, keep the URLS the same, so you don’t have to redirect them. Because people will have links pointing to these existing URLs. Redirection can always cause errors, because you can make a mistake somewhere, or you might lose stuff. So if you can prevent having to redirect it all, I would not redirect. Not sure how to solve an SEO issue on your site? Get help by asking your question to Ask Yoast! n the series we answer SEO questions from followers! Need help with SEO? 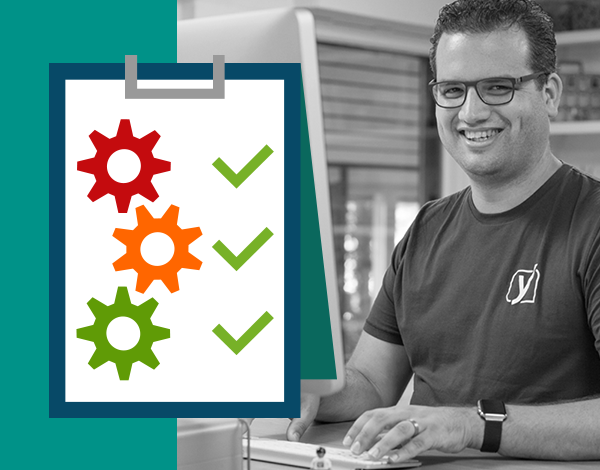 Send your question to ask@yoast.com.